LOOK LIKE FOR YOUR BUSINESS? Our 4-step process to create more revenue-generating meetings is just one of the sales strategies we use to exponentially grow sales for our clients. Can you imagine what employing all our sales strategies would do for your business? What would booking a repeatable and consistent number of revenue-generating meetings mean for your business? Picture it. Eager prospects booking meetings on your sales team’s schedule to want to buy what you’re selling. Fast-forward a few months, your sales team is humming at capacity, cash flow is looking better than ever and financial forecasts are all about increased profits. This is the picture you and I dream about for our business, right? So how do you ditch relying solely on referrals and desperate cold calls, to finally start booking a predictable and steady stream of revenue-generating meetings? 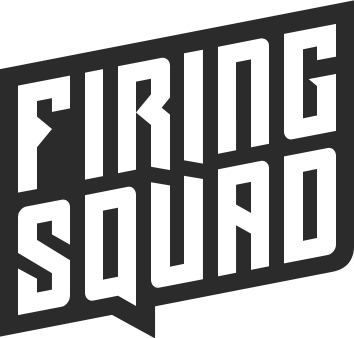 Firing Squad helps B2B businesses like yours, build lead generation and sales optimisation strategies that result in more paying customers. Our success across different businesses and industries has resulted in closed deals worth millions for clients from across the globe. If you’re ready to stop wasting money on copy & paste marketing strategies, generic email blasts and outdated pushy sales tactics that don’t deliver results, talk to us about implementing an optimised sales funnel that produces profitable and sustainable results on an ongoing basis. We assign a dedicated prospector who pulls all the stops to find the most suitable leads for your business. Whether it be online, offline or using your existing contact database, we segment prospects accordingly and kick off value driven engagements. Our writing team will craft just the right messaging that speaks to each of your leads’ individual pain point(s). We do this by making sure we understand your business, their business and everyone’s desired outcome. Every follow-up email is contextually written and automated. This results in a cohesive engagement that allows leads to absorb the messaging in their own time without being bombarded with pushy content. Responses go straight to a mailbox designated by you, allowing your sales team to pick up where we left off. If you need help managing incoming leads, just let us know. Our team is well-versed in managing all industry leading CRM platforms. We continuously monitor engagements with our content and optimise our strategies based on the metrics we get. You’ll be amazed at what paying close attention to the signals your leads put out can yield. In tandem with this, we’ll continue to generate more prospects based on the insights we’ve gained. Want to hear what we've achieved for some of our clients? We helped setup 9 meetings with the CEOs and CFOs from the top 20 Johannesburg Stock Exchange (JSE) listed companies in 2 weeks, which resulted in 7 closed deals worth R1.2 million in revenue for the business. EO wanted to launch an accelerator program for entrepreneurs in Cape Town. The company’s target was a minimum of 15 registrations. The strategy was to fill an event with the right target market and follow up with attendees to sign up to the $2250 annual EO Accelerator program. This campaign resulted in a sold out event, with 50% of the attendees joining the Accelerator program earning the company over $60 000 in revenue. 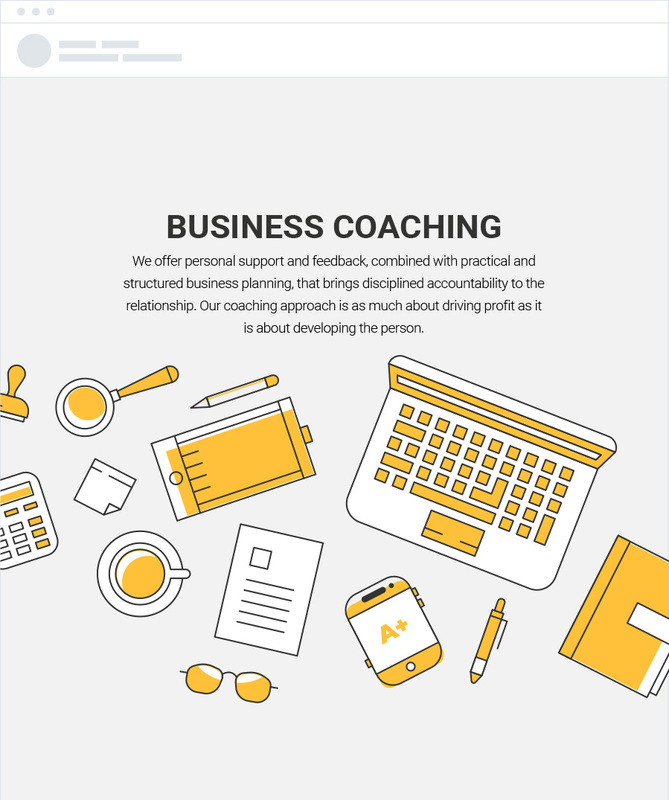 A business coach based in Johannesburg wanted to grow her company by signing 5 new clients every 3 months. Firing Squad decided to target businesses that fit within her specific niche and company size she was interested in working with. The first month of Firing Squad executing on our outbound lead generation strategy resulted in 23 meetings for the business coach! Guy Kawasaki famously once wrote, “Sales fixes everything“. It’s what we live by at Firing Squad. We’re not just about sending boring emails or using out-of-date digital marketing tactics. We also don’t care about clicks, open rates, cost per click, rankings and Facebook likes. All these numbers are hiding the plain fact that you’re not making a return on your marketing spend. Our number one goal is to help take your marketing spend from an expense to a cost of sale that takes every dollar you spend and turns it into 2,3 or 5+ dollars. Every company should have a sales engine that consistently delivers revenue-generating appointments and sales for their business. Want a sales engine for your business? It’s time you chat to us and stop wasting your hard-earned money on digital agencies that just don’t deliver. It’s important to know that this is only for businesses that are serious about changing the way they currently go about growing their bottom line. We’ll do the brunt work to get more qualified leads and your sales team in meetings, but we need your dedication and commitment to making it work. If you’re not serious about lead generation and are happy with growing your business using referrals from your existing clients, friends and family, this isn’t for you. But if you are ready to kick things into overdrive with your business then book a free 45-minute strategy session with us now. We’ll help you get conversations and conversions growing fast with some quick wins that you can implement immediately. By the way, we recommend booking quickly as we only have a limited number of strategy sessions we can do each month and they’re going fast. You’ve done it! You’re eBook is on its way. 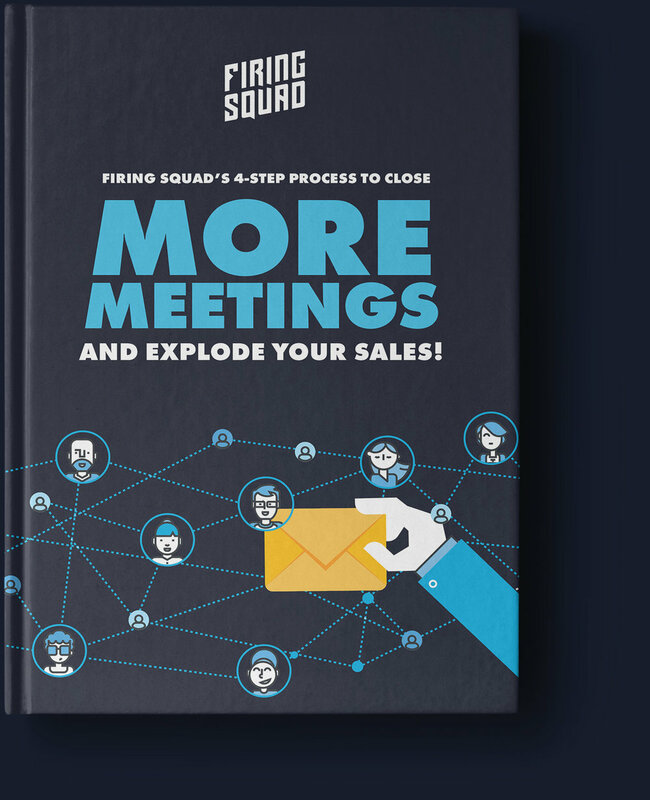 Check your email in a few minutes and you’ll see an email from us with a link to download Firing Squad’s 4-step Process To Close More Meetings and Explode Your Sales!